Mr. Hurst has made significant strides in two careers: wealth management and directing and producing. 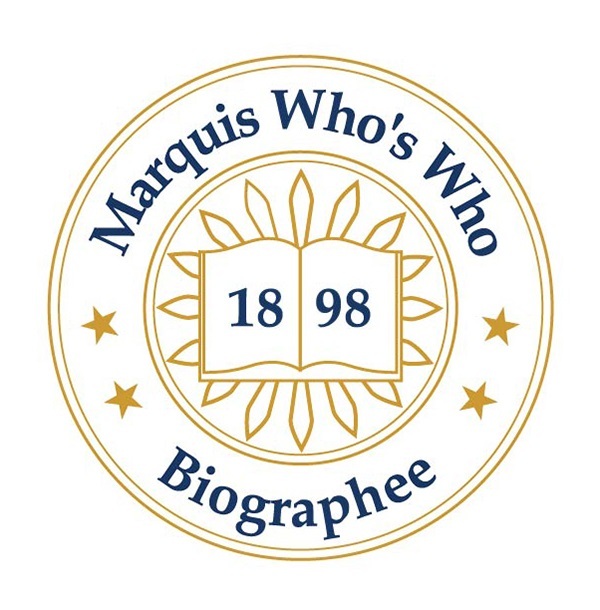 NEW YORK, NY, September 17, 2018 — Marquis Who's Who, the world's premier publisher of biographical profiles, is proud to present Gregory Hurst with the Albert Nelson Marquis Lifetime Achievement Award. An accomplished listee, Mr. Hurst celebrates many years' experience in his professional network, and has been noted for achievements, leadership qualities, and the credentials and successes he has accrued in his field. As in all Marquis Who's Who biographical volumes, individuals profiled are selected on the basis of current reference value. Factors such as position, noteworthy accomplishments, visibility, and prominence in a field are all taken into account during the selection process. Throughout his career, Mr. Hurst has made significant strides in two careers: wealth management and directing and producing. He began at UBS in 1999, and he has advanced to his current position as senior vice president of wealth management. Additionally, he served as the branch office insurance coordinator from 2001 to 2009; and has been a member of the Chairman's Club since 2004. He also participated with UBS's mentoring program from 2004 to 2011, the National Advisory Board for Global Asset Management from 2011 to 2015, and the Wealth Management Speakers Bureau since 2004. Spanning his twenty five years in theatre, Mr. Hurst directed the production of “Fields of Ambrosia” starring Christine Andreas and Joel Higgins in 1996 in London's West End at the Aldwych Theatre. He was the Artistic Director of the George Street Playhouse in New Brunswick, NJ from 1988 to 1997, the Pennsylvania Stage Company in Allentown, PA from 1979 to 1988, and the Mule Barn Theatre in Tarkio, MO from 1975 to 1977. He originally produced the world premiere of “Swinging on a Star,” which later won a Theatre World Award, and was nominated for the Tony Award for Best Musical and three Drama Desk Awards. In addition, he was on the Theater Task Force of the Rockefeller Foundation in Philadelphia in 1985, was an on-site evaluator for the National Endowment for the Arts in Washington from 1984 to 1997, and has been a member of numerous other theatre-related organizations including the Foundation for the Development of American Professional Theatre and a founding member of the Playmakers Repertory Theatre in 1974. Mr. Hurst earned a Bachelor of Science from Miami University in Oxford, OH in 1969. He went on to receive a Master of Arts from the University of Wisconsin in 1973, a Master of Fine Arts from the University of North Carolina in 1975, and completed postgraduate work at The Wharton School of Business at the University of Pennsylvania in 2003. He has been awarded a number of accolades for his accomplishments, including a feature in Time magazine in 1991. He is listed in the 37th edition of Who's Who in Finance and Business, the third edition of Who's Who of Emerging Leaders in America, and several editions of Who's Who in America, Who's Who in Entertainment, Who's Who in the East, and Who's Who in the World. In recognition of outstanding contributions to his profession and the Marquis Who's Who community, Gregory Hurst has been featured on the Albert Nelson Marquis Lifetime Achievement website. Please visit www.ltachievers.com for more information about this honor.